Have Launched Their New Website. TDR Quantity Surveying Services is a privately-owned specialist consultancy practice which was set up in 2007 by David McCarthy after returning to Ireland from Malaysia where he was a director of Balfour Beatty International. Our commitment to excellence and achievement is what drives us to provide the highest quality specialist services including Quantum Experts, Claims Specialists, advice on Contract Administration, Cost Management, Project Management and Alternative Dispute Resolution. We provide an expert, dependable and personal service through a results-driven environment which ensures that our clients are appraised of all decisions and kept updated at all times. We can act as quantum experts in respect of civil engineering, building, electrical, mechanical, industrial, pharma, healthcare sectors etc. for the Courts, Arbitration, Conciliation, Adjudication and Mediation. We use a variety of approaches dependent on the requirements and conditions encountered. These include quantum meruit and the measured mile approaches. We can assist employers, main contractors, sub-contractors and Design teams to appraising, defending and responding to all types of contractual claims including loss and expense, delay and disruption, additions / omissions etc. We also arrange the programming of projects for the planning and monitoring of projects including forensic analysis of delays and critical paths. We provide authoritative advice on Civil Engineering and Building Conditions of Contract, as well as all aspects of contractual disputes regarding time, cost or quality. We review forms of contract and advice parties of their respective obligations and entitlements and provide guidance throughout the period of projects. We have acted as advocates in mediations, conciliations and adjudications. 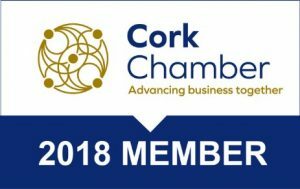 Our David McCarthy is an accredited mediator and a member of the Society of Chartered Surveyors Ireland mediation, conciliation and adjudication panels. We believe that as experienced practitioners in dispute resolution that we bring a logical and commercial approach to issues.